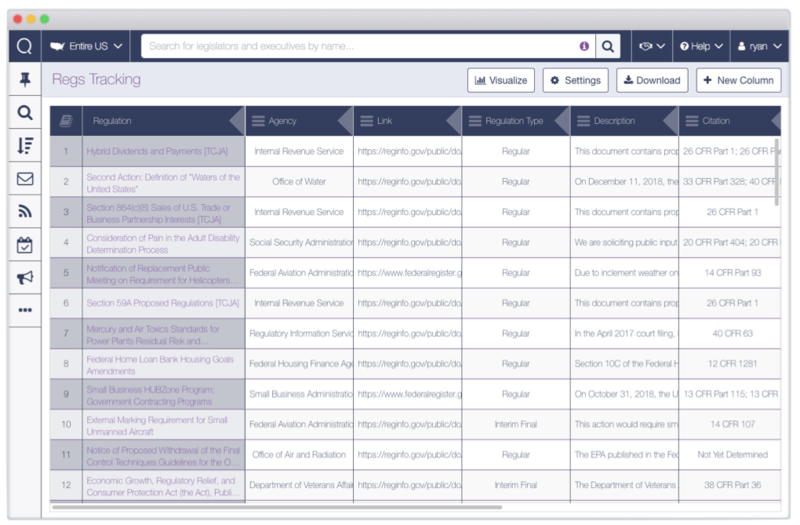 Easy-to-use tools to track state and federal regulations through their full lifecycle. See everything you need about a regulation on a single profile. Then follow that regulation to get alerted in real time whenever there’s a hearing scheduled, related document posted, or a status update with information from sources including state and federal registers, OIRA, OMB, the Unified Agenda, regulations.gov, and more. Whether you’re a one-person shop or part of a team, your experience with Quorum is tailored to you. 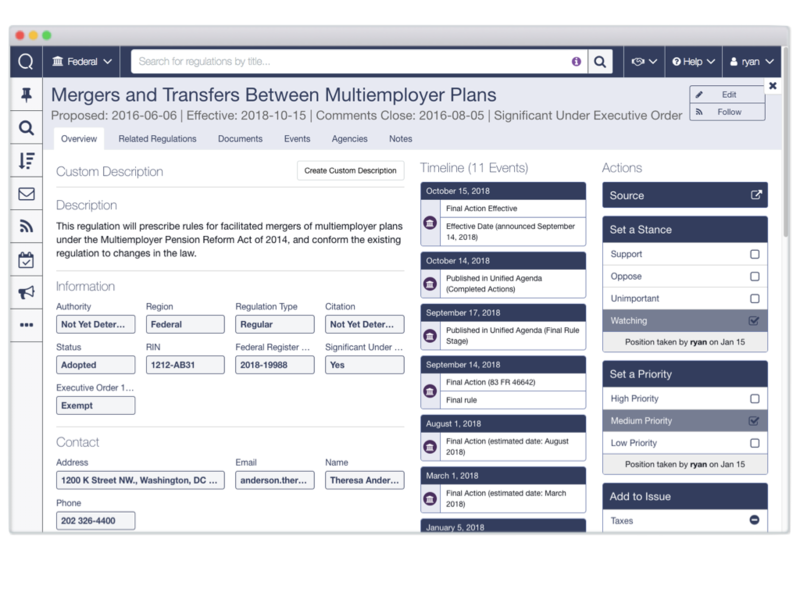 Create a custom region of states you care about, set up a tracking dashboard to automatically pull in relevant regulations, generate spreadsheets or charts automatically, and get alerts straight to your inbox. 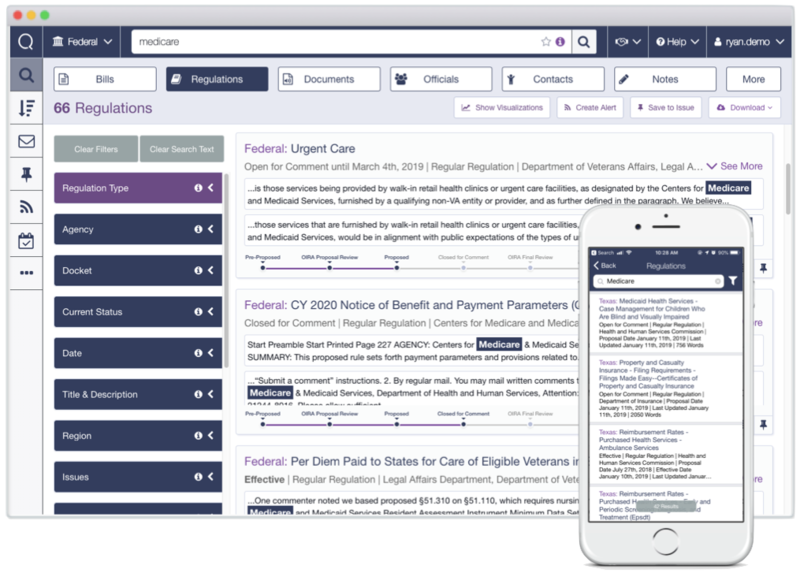 Everything in Quorum is standardized and searchable—use keywords, phrases, or the title of a rule to search through state and federal regulations quickly, then generate reports that stay consistent across different states or regions. 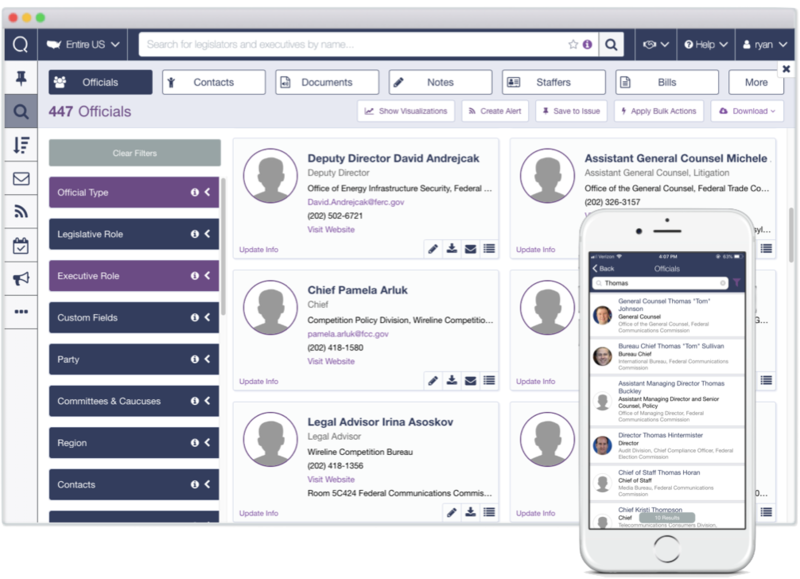 Regulations, legislation, social media posts from agency heads, and official contact information integrate seamlessly with a professional suite of tools for report creation, bulk emails, grassroots campaigns, stakeholder engagement efforts, and more.